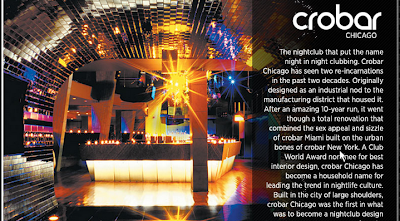 Crobar - famous club of celebrities.First and foremost the famous club network.Here often rest stars Michael Douglas, Catherine Zeta-Jones, David Guetta and other.Victor Calderone is residents of this club together with David Guetta, Danny Tenagliya and other rich stars. I came to New York two years ago, and I say so fortunate to witness with their own eyes how the new club-star eclipses the other club-star. 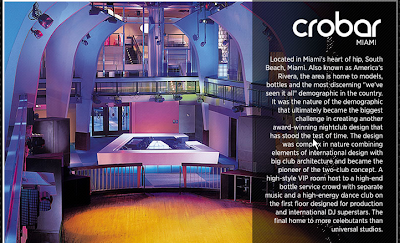 2005-2006, at the peak of popularity was CROBAR, opened in 2003. 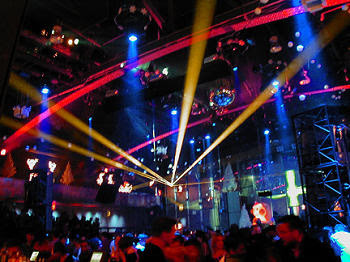 The club, who for two years held the top spot in the list of the best clubs in the Big Apple. Indeed, funky club. Gained popularity very quickly. The total area of the club 30,000 sq. ft., includes 3 buildings, occupies an entire block. The main dance floor - 930 sq m, sound system Phazon cost about a million dollars, lighting effects also deserve special attention. In general, all the club was good. Everyone knew that this club is tough to get in, that the public is there a decent, no youngsters, but the real movers and music lovers. TOP DJs like Sasha, Deep Dish, Victor Calderone, Danny Tenaglia, Roger Sanchez, and Sander Kleinenberg and only the best and most talented local play their music for the guests of the club. 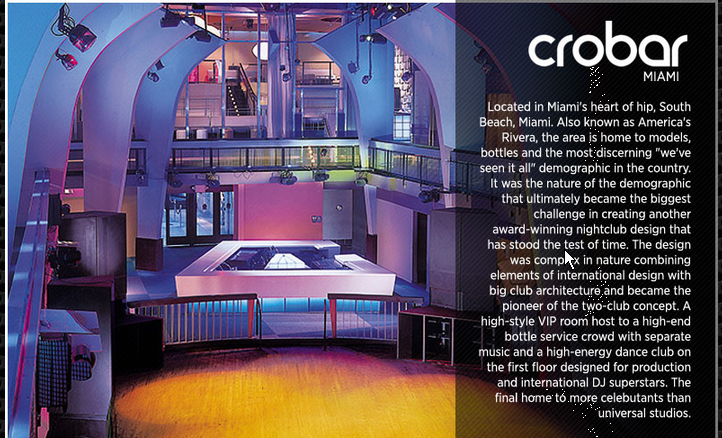 Crobar New York called unbeatable! 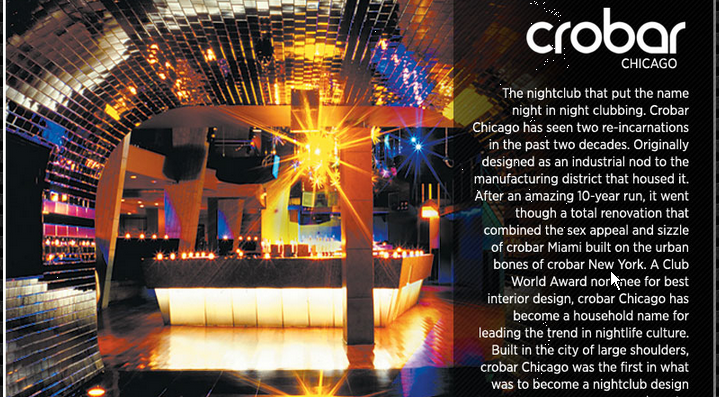 Club Address: 1543 N. Kingsbury St., at W. Weed St., Lincoln Park,Chicago.